'Personal' Trainer… Chef… Shopper? How About… 'Personal Astronomer'?! This summer we hired Arizona Star Tour’s astronomer, Ben Loker, to give us a private stargazing ‘tour’ of the night skies over Casa Campana. Being summer and monsoon season, it took a couple of tries to get a clear night, but Ben was great about working us into his busy schedule, and the result was an AWESOME EXPERIENCE!! And we didn’t even leave Casa Campana. 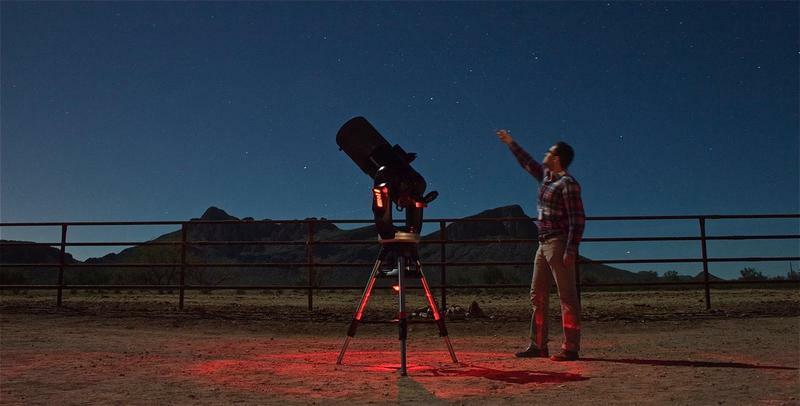 Ben’s Arizona Star Tours provides private astronomy excursions where Ben and his team of astronomers bring their high-powered telescopes to you. In our case he set up on pool deck of Casa Campana. What a great concept! 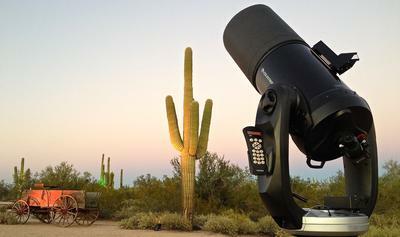 Tucson is renowned for the clear desert night skies (other than in monsoon season of course). Professional and amateur astronomers flock here to study the heavens and satisfy their astronomical urges. In addition to private events, Arizona Star Tours is regularly hired by local luxury resorts to facilitate stargazing for guests. So you may have seen Arizona Star Tours in the past at ‘The Ritz’, La Paloma, or other upscale area properties. According to Ben, a self-proclaimed science nerd, the pool deck at Casa Campana is one of the best locations for stargazing in the region. With the majority of Tucson’s population to the south, the dark Tortolitas to the north, and the low-density nature of Marana itself, Casa Campana has clear, dark desert skies much of the year. That’s absolutely ideal for seeing far into the night skies. Add Ben’s high-power telescope, impressive knowledge, along with personalized attention, and it makes for the ultimate stargazing excursion – and without even leaving the house! One thing to keep in mind - Ben’s services are very popular and his schedule fills up months in advance. So if you are interested, we recommend booking Ben as soon as you have settled on the property for your vacation. Of course we hope it's Casa Campana with it’s optimal stargazing qualities and many other amenities, but if not, Ben will come to you wherever you plan to stay. You’ll be glad you hired Ben, or one of his Arizona Star Tours associates, as your ultimate Personal Astronomer for the evening. Thanks to Ben for sharing his knowledge and passion for astronomy with us, and for providing some of his impressive astrophotography below. For aspiring astronomers, here is the equipment rundown Ben graciously provided. I’ve included it in his own words to preserve its accuracy. The telescope we use is an 11” Diameter, F10 Schmidt-Cassegrain Telescope made in Torrance, CA by Celestron. By using a combination of lenses and mirrors the telescope gathers over 1,600 times the light of the human eye, then folds the light back and forth, making light travel through the optics along a path around 9.2 feet long. 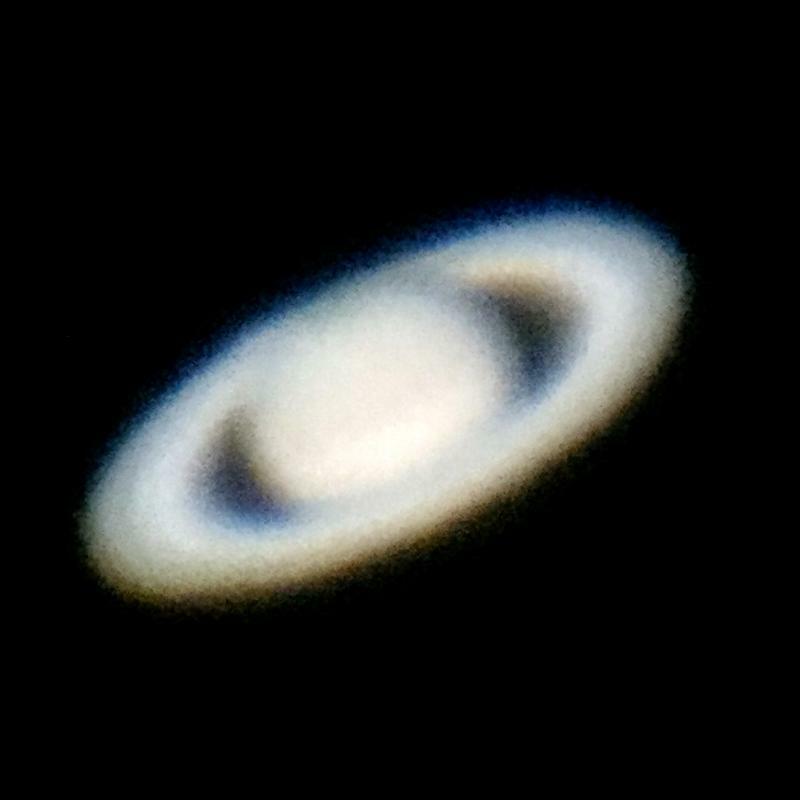 This compound optical design allows the telescope to be much more portable, but still show the same amazing views as a much larger instrument. With built-in computer, optical encoders and stepper motors, it can be triangulated to the stars for precise tracking and pointing of 40,000+ celestial objects. Our array of very high quality wide-field eyepieces can vary the telescope’s power from 70x to nearly 1,000x. 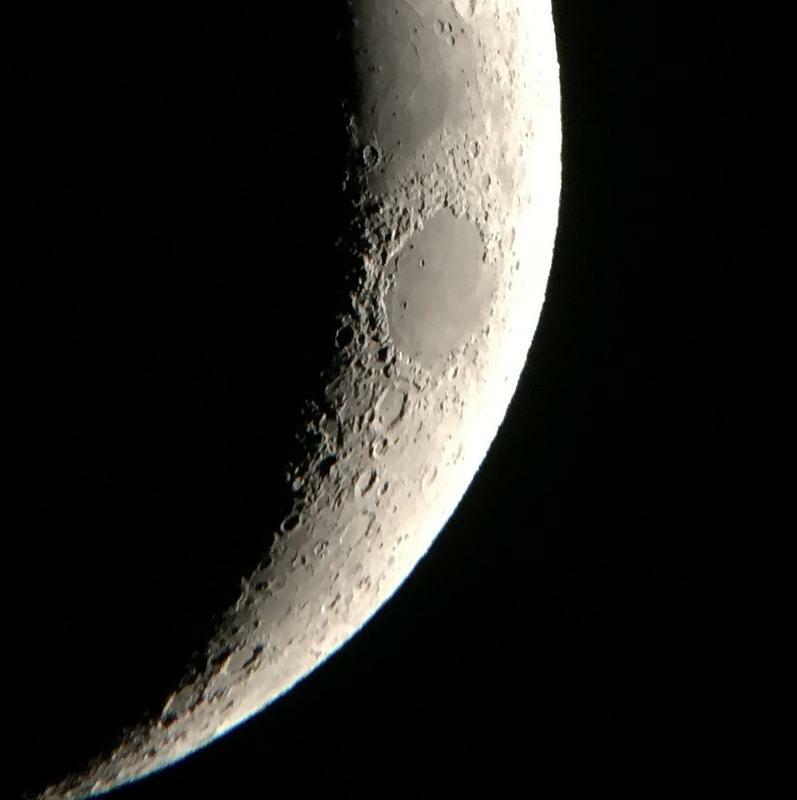 Astrophotography of the Moon, Planets, Star Clusters, Nebulae, etc can be captured with cellphones through the telescope using our special eyepieces or with adapters we can attach Nikon & Canon DSLR’s directly to the telescope for long exposures.